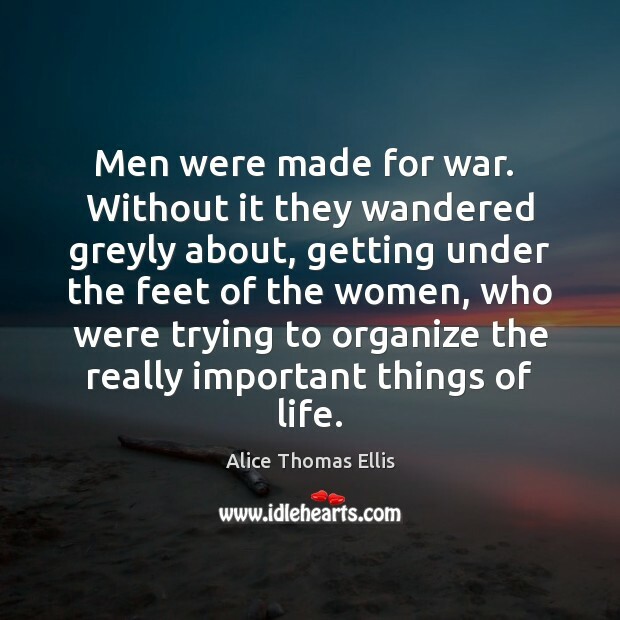 Enjoy the best inspirational, motivational, positive, funny and famous quotes by Alice Thomas Ellis. Use words and picture quotations to push forward and inspire you keep going in life! 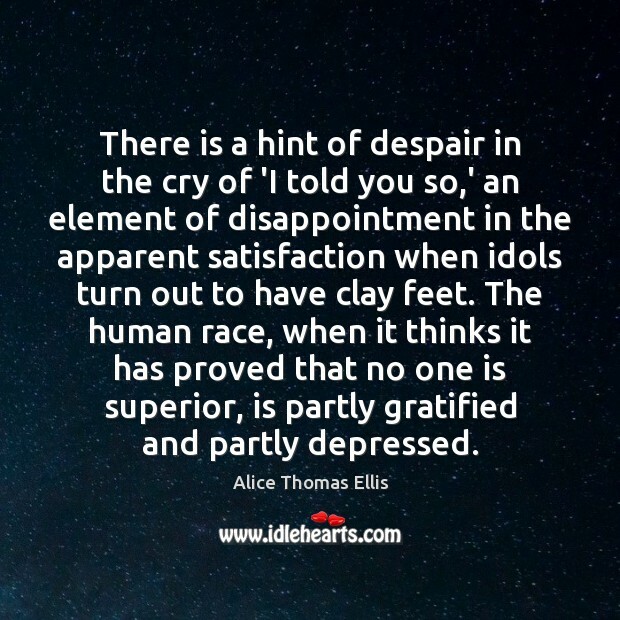 There is a hint of despair in the cry of 'I told you so,' an element of disappointment in the apparent satisfaction when idols turn out to have clay feet. The human race, when it thinks it has proved that no one is superior, is partly gratified and partly depressed. 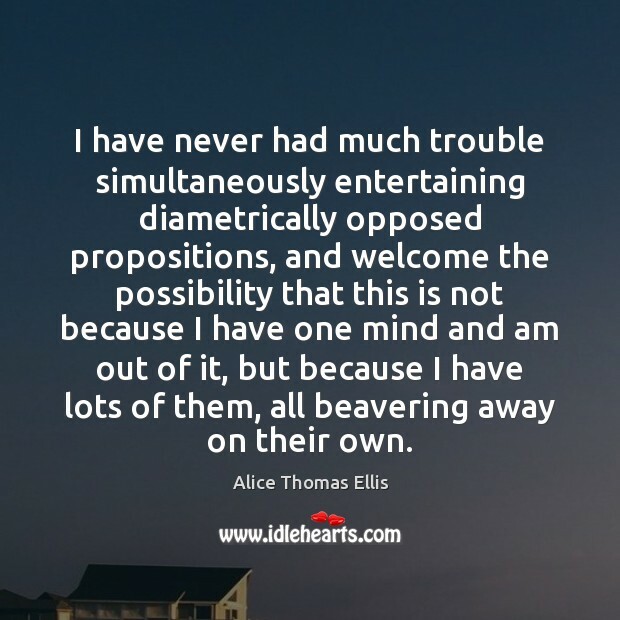 I have never had much trouble simultaneously entertaining diametrically opposed propositions, and welcome the possibility that this is not because I have one mind and am out of it, but because I have lots of them, all beavering away on their own. Adolescence is usually typified by an unanswerable combination of innocence and insolence. 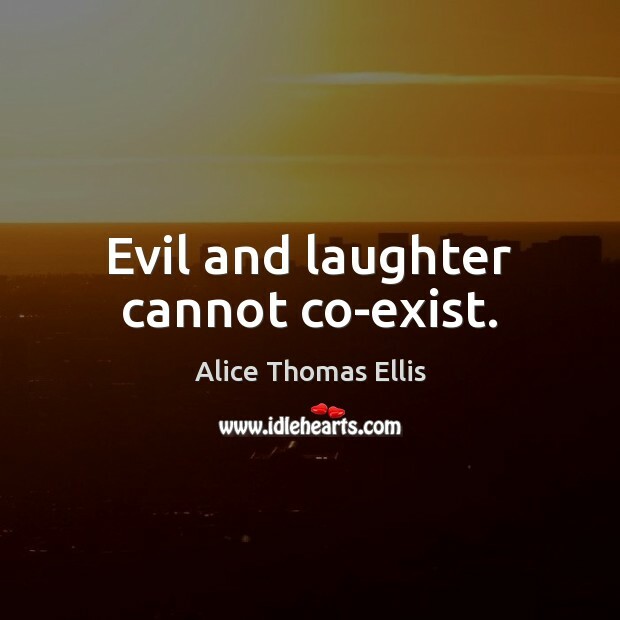 Evil and laughter cannot co-exist. 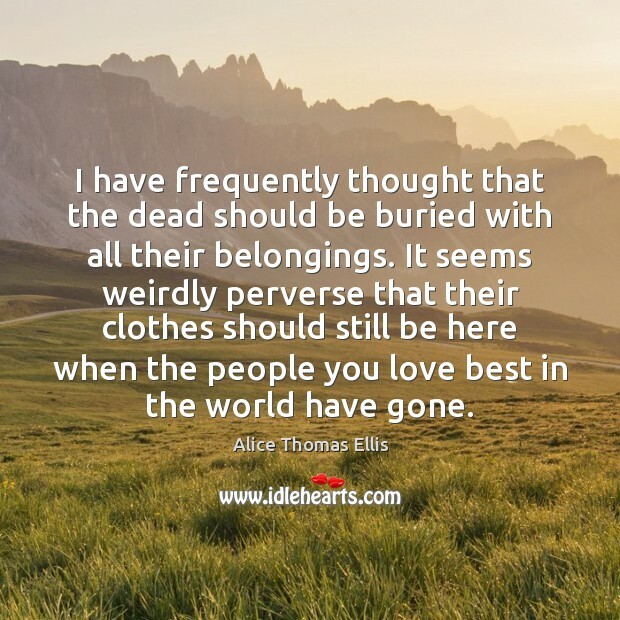 I have frequently thought that the dead should be buried with all their belongings. It seems weirdly perverse that their clothes should still be here when the people you love best in the world have gone. I like money. 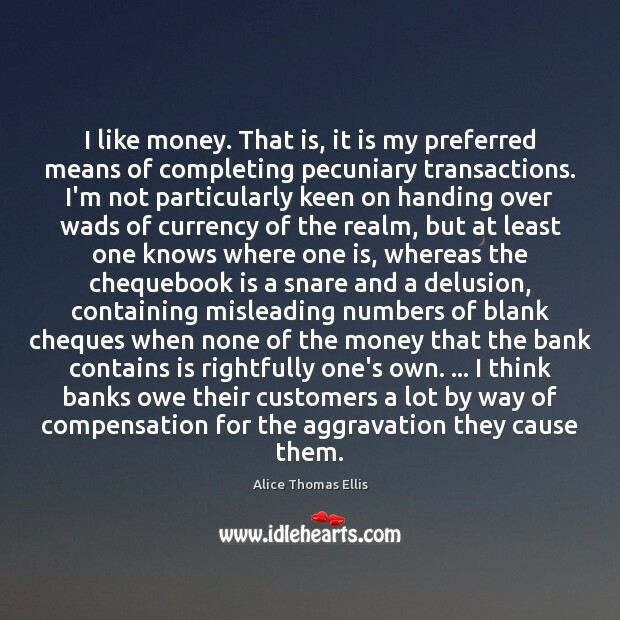 That is, it is my preferred means of completing pecuniary transactions. I'm not particularly keen on handing over wads of currency of the realm, but at least one knows where one is, whereas the chequebook is a snare and a delusion, containing misleading numbers of blank cheques when none of the money that the bank contains is rightfully one's own. ... I think banks owe their customers a lot by way of compensation for the aggravation they cause them. 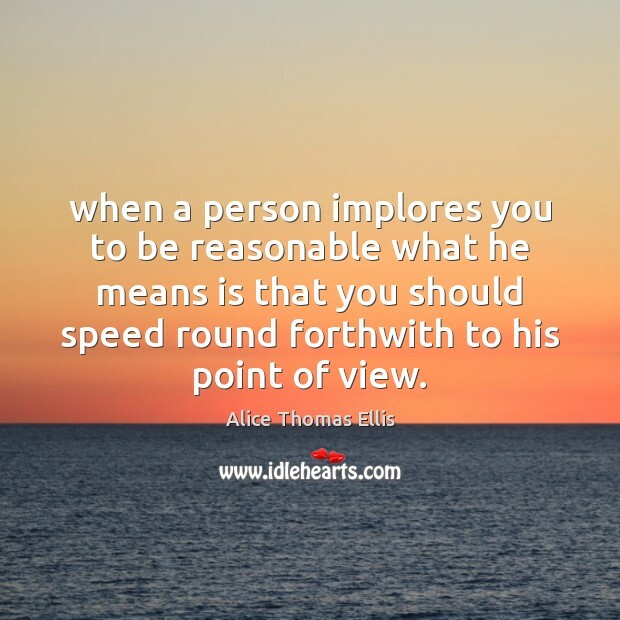 when a person implores you to be reasonable what he means is that you should speed round forthwith to his point of view. 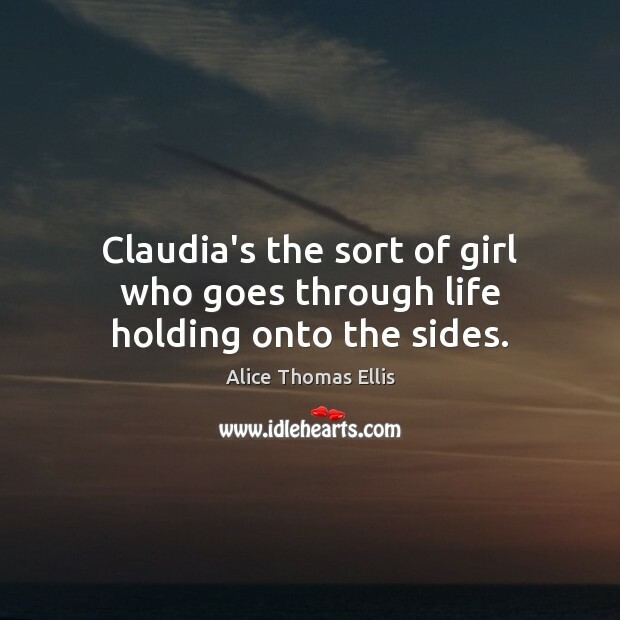 Claudia's the sort of girl who goes through life holding onto the sides. Phrase books seem to be a universal and eternal source of hilarity and I think I know why. 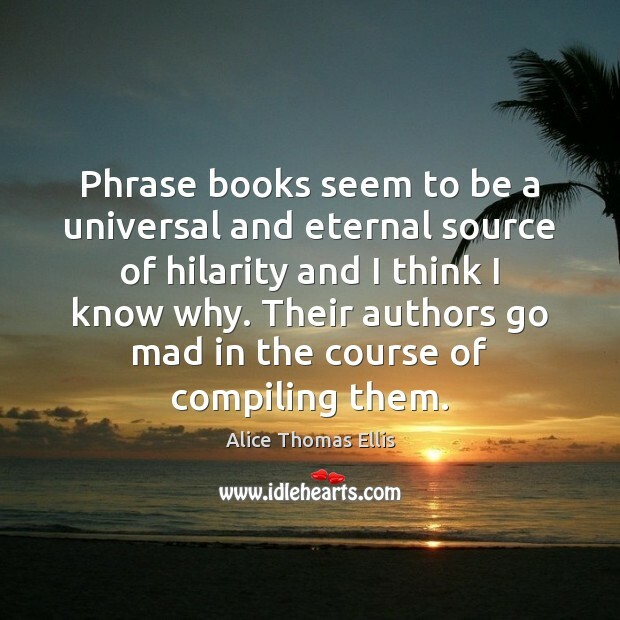 Their authors go mad in the course of compiling them. The snag in being married to a person who knows more or less everything is that one gets hopelessly lazy. ... I never look things up in books because all I need to do is ask him, and when he gives me the answers I don't properly commit them to memory because I know if I forget all I have to do is to ask him again. It is rather like keeping one's brain in a suitcase. 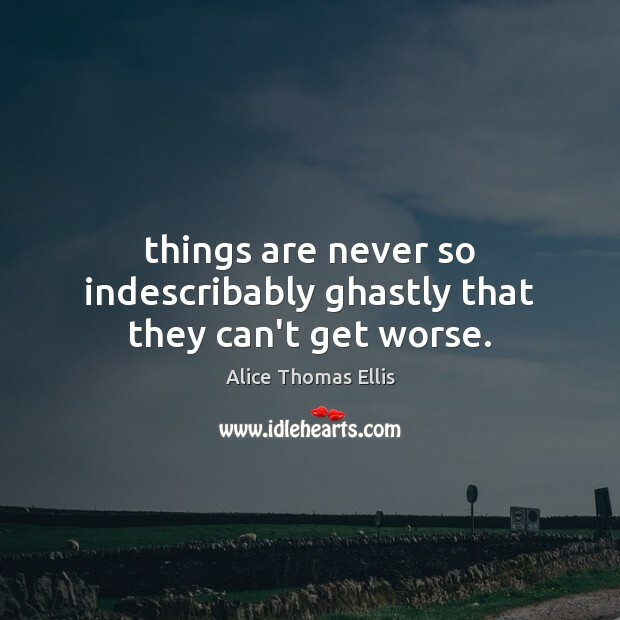 things are never so indescribably ghastly that they can't get worse. 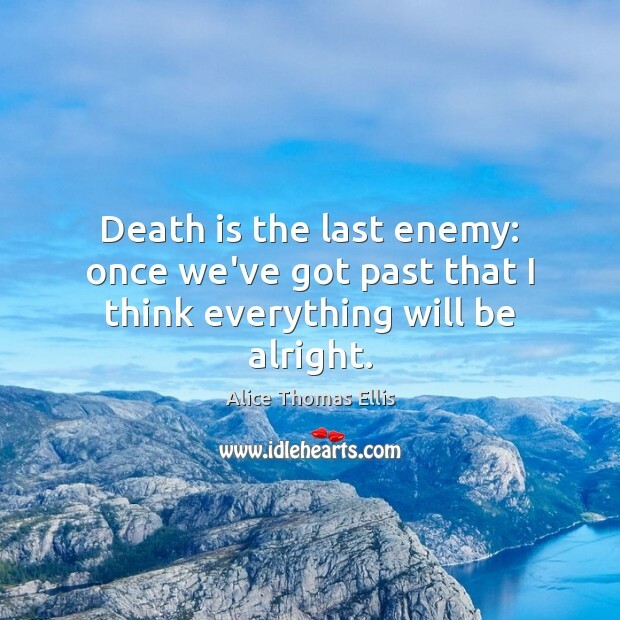 Death is the last enemy: once we've got past that I think everything will be alright. 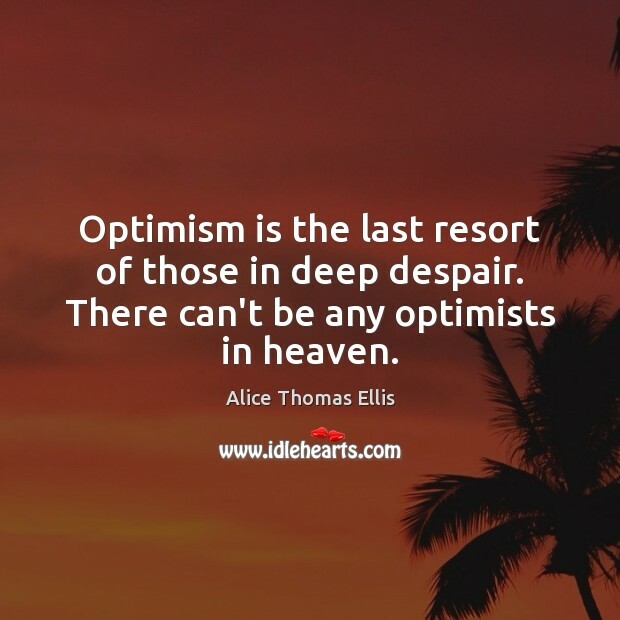 Optimism is the last resort of those in deep despair. 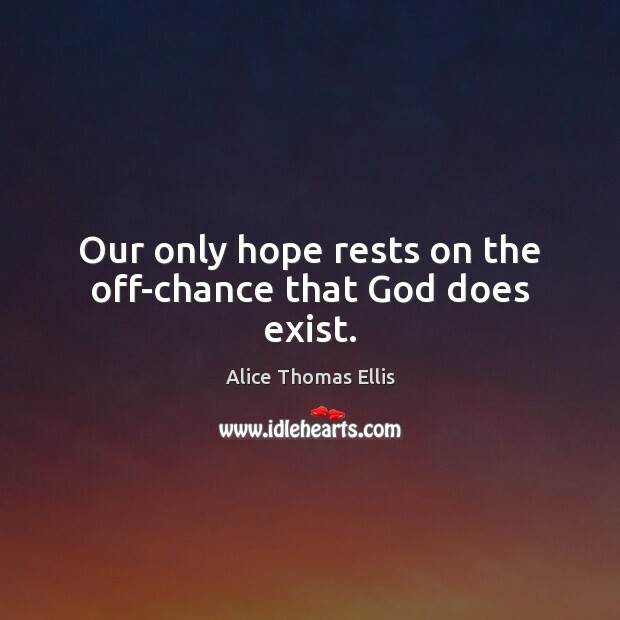 There can't be any optimists in heaven. 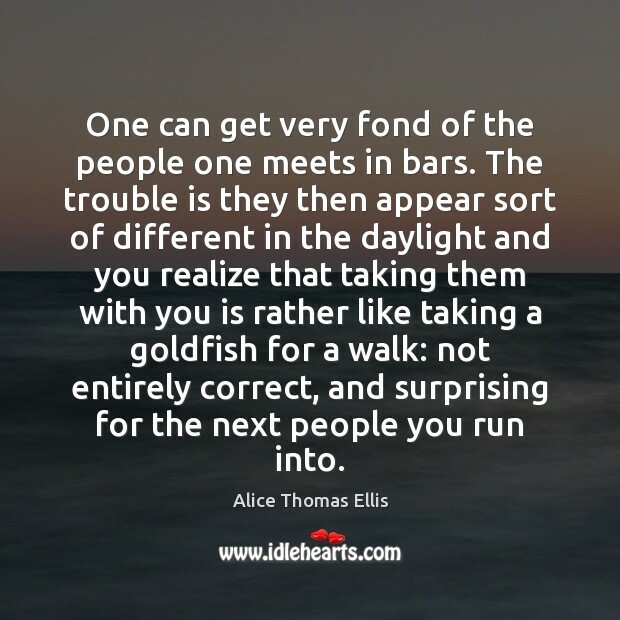 One can get very fond of the people one meets in bars. The trouble is they then appear sort of different in the daylight and you realize that taking them with you is rather like taking a goldfish for a walk: not entirely correct, and surprising for the next people you run into. I think the meaning of the universe is bound up with the egg. ... I am fed up with the meaning of the universe. Everything starts in the egg and ends in death. I think it's called 'the heartbreak at the heart of things.' 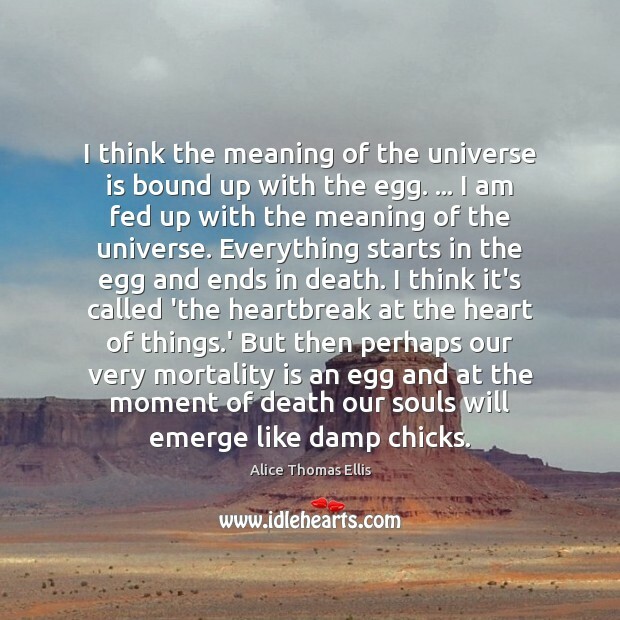 But then perhaps our very mortality is an egg and at the moment of death our souls will emerge like damp chicks.